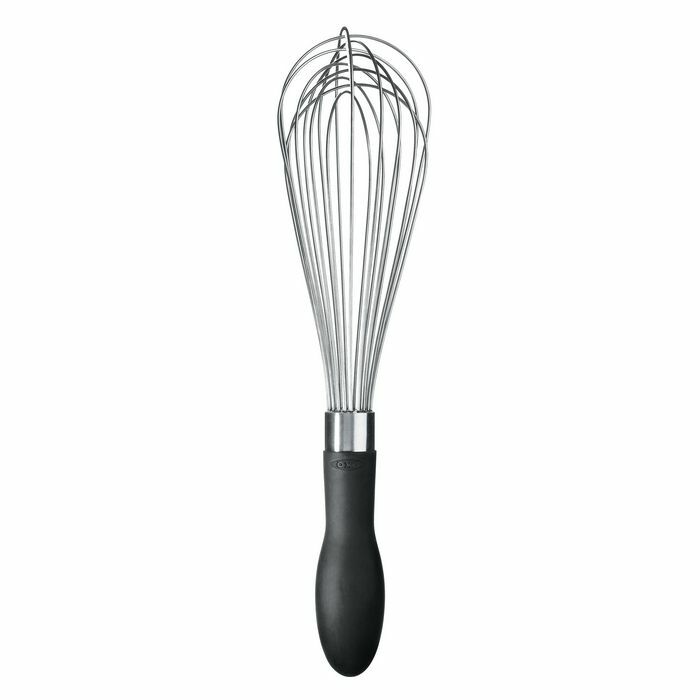 The OXO GOOD GRIPS Whisks feature polished stainless steel wires and teardrop shaped handles that fit comfortably in the palm of your hand. The soft handle won't slip out of your hand, even when wet. Beat eggs, stir batter, whip cream and stir sauces in comfort.